We didn't see most of these moments coming. 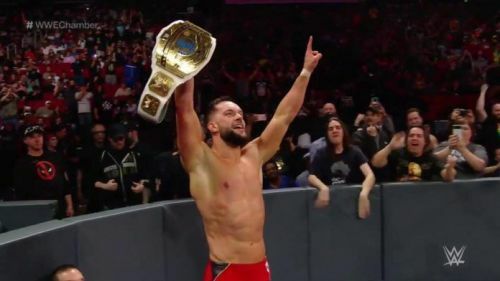 The 2019 Elimination Chamber event was a show that was full of twists and turns, surprises no one saw coming and moments that shocked the daylights out of the WWE Universe. But before fans went into this show, they knew that WWE had implemented booking that would misdirect them in their build-up to the show. From giving us title changes we never thought we would ever see and turns we never thought characters would take, this event had its fair share of confusing booking methods, but was, for the most part, it was not boring at all. And that is due to WWE tendencies to pull the rug from underneath their fans feet, as what we actually thought would go down as shocking decisions on this show was completely opposite to what WWE had planned. So let us go through each shocking moment from the 2019 Elimination Chamber and analyze each decision by WWE. Who would have thought this would happen? The match between The Usos and the self-proclaimed best tag team on the planet in Shane McMahon and The Miz did not have many fans were jumping up and down to see it. As the narrative WWE actually built between these two teams was not all that interesting to be honest, as WWE didn't really put that much effort into the entire programme. Furthermore, the subplot narrative between Shane McMahon and The Miz was also pushing on lacklustre levels as WWE watered down McMahon and Miz with a storyline that didn't suit the tone of Smackdown Live and themselves. So when The Usos won the right to challenge McMiz fans were hoping that The Usos would put an end to this mediocre subplot. And who knew that would really happen. 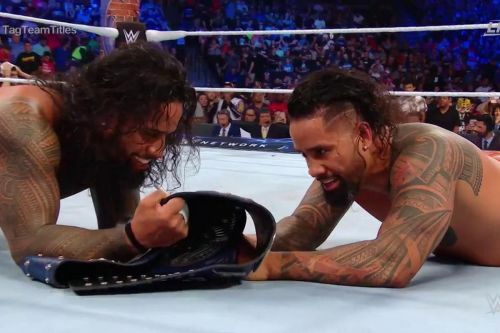 Now the shocking here is not The Usos winning the Smackdown Live Tag Team Titles, it's the fact they won the titles after being involved in an altercation with the law just a few days ago, and now WWE has given them the right to be called the new Smackdown Live Tag Team Champions. Many critics and fans thought WWE would punish Jimmy and Jey for what happened, but it seems WWE has another plan in store for the blue brand's tag team division.